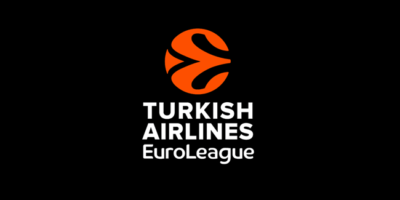 Euroleague basketball may be a bit unknown to non Europeans. The sixteen-teams championship will now give way to the playoffs. Here is a look at the eight teams qualified for the post-season. A regular favourite, CSKA counts on a mix of European stars and US vets to dominate. Despite losing Teodosic, the trio of Sergio Rodriguez (13.5pts 4.8as), Nando de Colo (17.2pts 4as) and Cory Higgins (13.6pts 2as) is incredibly successful with an almost 60% FG and 46% from three. Former Iowa State standout Will Clyburn is the perfect glue guy with 11.7pts 5.7rbds and 2as. Inside, tough minded Kyle Hines (8pts 4rbds), Othello Hunter (7pts 5rbds) and Local Nikita Kurbanov (5.5pts 3.4rbds) are here to make life easier for the scoring guards. They will face their local rival Khimki and don’t have another goal but to win it all. Last year, Fenerbahce became the first Turkish team to be crowned Euroleague champions. Legendary coach Obradovic wants to duplicate despite having lost last year MVP Ekpe Udoh and NBA guard Bogdanovic. In the backcourt, complementary guards Kostas Sloukas (10pts 5as) and Brad Wanamaker (11.4pts 4as) act as Fenerbahce main creators. One of their main target is forward James Nunnally, Euroleague’s best 3pt shooter (59%). The PF spot is 100% Italian with Nicolo Melli (8pts 5rbds) and Luigi Datome (9.6pts and 3.6rbds) while the center spot is shared by improving Jan Vesely (12.9pts 4.9rbds) and new recruit Jason Thompson (5.6pts 4rbds). Last year,Olympiacos lost in the final game against Fenerbahce. The team hasn’t changed much with the same core of Greek players, point god Vassilis Spanoulis (13pts 5.7as), fan favourite Georgios Printezis (12.6pts 5.5rbds) and do it all forward Kostas Papanikolaou (8.2pts 4.5rbds 2.2as). Russian center Milutinov (9.3pts 5.8rbds 0.7blk) has emerged as main inside threat while doubling his scoring stats and improving his FG %. He is helped by US center Jamel McLean (8.4pts 4.7rbds). The team will have to improve his poor 33% 3pt to get rid of Spanish opponent Vitoria. After Olympiacos, his archrival Pana. After four championships during the 2000s, the 2010s have been tougher with the last Euroleague title in 2011. The Greens are always led by Nick Calathes (14pts 8as) who has received the help of former Suns guard Mike James (14.8pts 4as). Pana lacks a real outside threat as the swingman spots are shared by Denmon (5.7pts), Lojeski (5.7pts), Pappas (9pts) and Rivers (9.4pts). Inside, Singleton (10.3pts 5.8rbds) and Gist (10.1pts 4.5rbds) are the undisputed leaders. In a deep roster stacked with Euroleague vets and former NBA players, Luka Doncic is shining. The do it all swingman finished the regular season with the best rating and averaged 16.9pts 4.8rbds and 4.6as for the season. Among the other important pieces, tough minded PG Campazzo (8.4pts 4.8as), former NBA giant Edi Tavares (7pts 6rbds 1.7blks) or shooting PF Trey Thompkins are here to make life easier for Doncic. One of the surprise teams of the year, Zalgiris dreams to repeat their 1999 season during which they won the continental title. Pushed by inexhaustible fans, Kaunas, can count on the one-two punch consisting of Kevin Pangos (12.4pts 6.2as) and home favourite Paulius Jankunas (12.1pts 4.8rbds). With White, Toupane and Ulanovas, there are plenty of options on the wings but less inside where Brandon Davies (8.4pts 3.2rbds) is not the toughest center. It will be hard for Khimki to beat their archrival CSKA but at least they have reached the playoffs. Their best player knows CSKA pretty well as Alexey Shved, the team’s best scorer with 21pts per game, played six seasons for Euroleague’s regular season champions. Behind Shved, it’s all about the US players with 4 of them scoring between 7.8pts and 9.9pts (J. Anderson, Honeycutt, Thomas Robinson and Malcolm Thomas). Robinson and Thomas are a bit undersized at the C spot, which won’t make things easy against CSKA tough inside players. Next Next post: Go Gilas! Could the Philippines become Asia’s superpower?